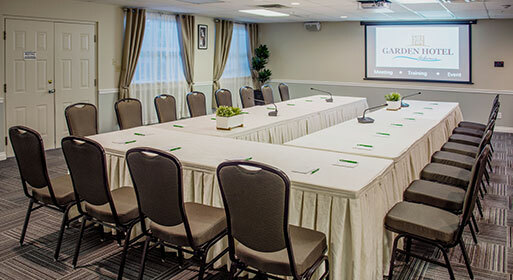 As the biggest hotel in Gibsons, we are a popular choice for hosting special events of all kinds, with space for up to 60 guests. 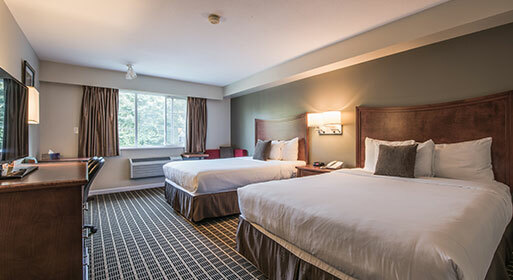 We offer three distinctive meeting rooms, personalized service and competitive group accommodation rates. 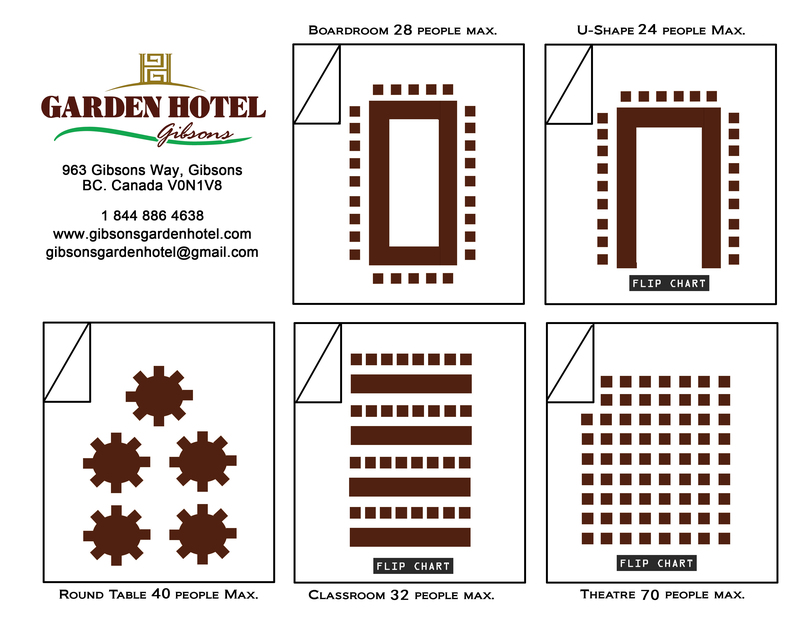 Contact us today to get started on planning your meeting or special event at the Gibsons Garden Hotel. 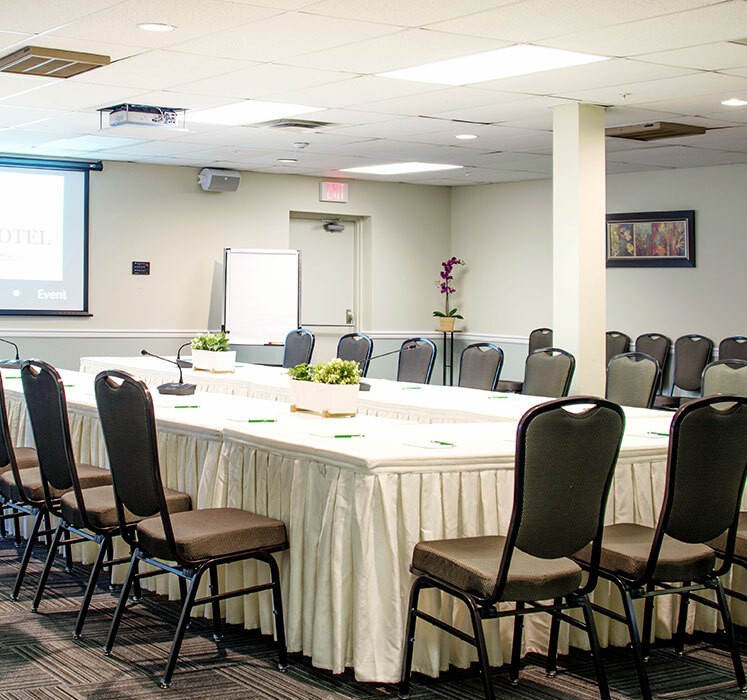 Whether it’s an intimate board meeting, corporate retreat, retirement send-off or an elaborate birthday party, we offer event space rental to fit your needs and budget. All event guests are provided with complimentary tea, coffee and lemon ice water. We can also provide use of an easel, free Wi-Fi, computer and projector as needed. Meeting Room: Max. 60 people. 1200 sq. ft. Lounge: Max. 40 people. 800 sq. ft. Guest lounge: Max. 8 people. 350 sq. ft.
No matter what the nature of your business gathering, we are pleased to host you and your colleagues in one of our three well-equipped meeting spaces. We offer free high-speed Wi-Fi and can provide a computer, projector and easel to aid your presentations. 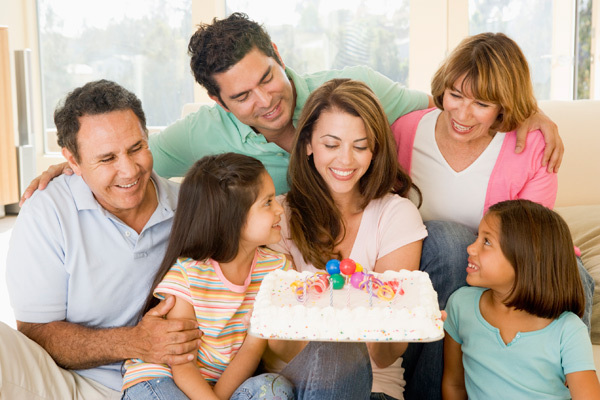 For everything from reunions to retirement parties, the Gibsons Garden Hotel is proud to be a place where families make memories that will last a lifetime. 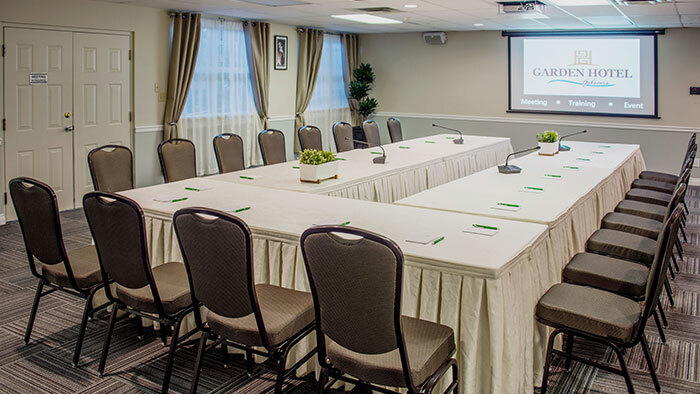 We are pleased to provide meeting rooms to suit the needs and arrangements of your event—just ask and we’ll do our best to make it happen! 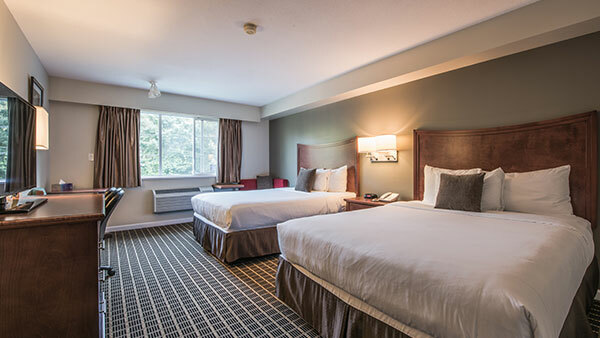 Should your event guests or corporate group choose to spend the night at our hotel, we would be pleased to offer a competitive group accommodations quote with discounts on our standard room rates. 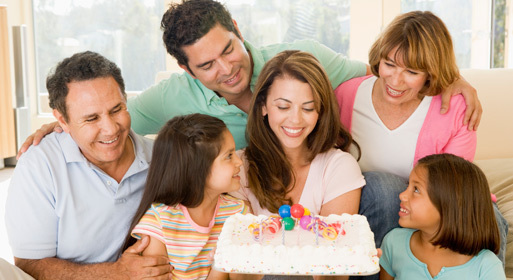 To request a group quote, please contact us today. 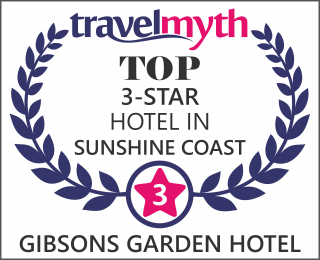 Copyright Gibsons Garden Hotel. All Rights Reserved.